This fourth round of the 24mm legacy prime lens shootout features the cheapest 24mm lens that’s been tested so far; it’s a Vivitar(Tokina, 37xxxxxx serial number) that cost $37. It’s up against the Canon FDn 24/2.8, and a recently acquired Olympus H.Zuiko 24/2.8($117 shipped). 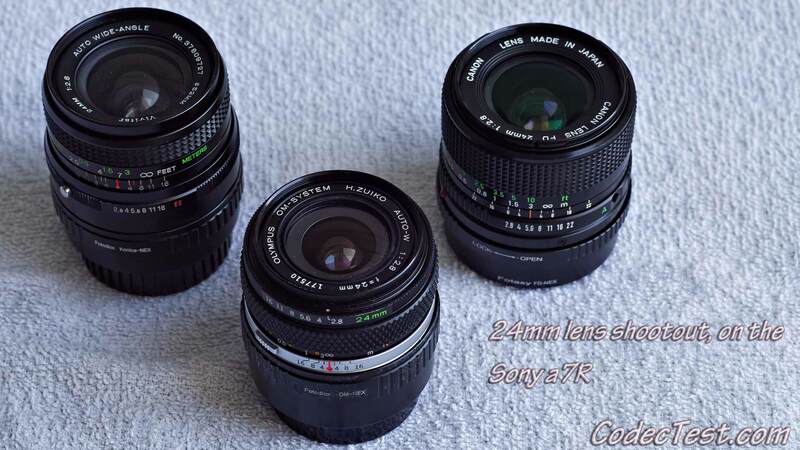 If you recall from previous rounds of this shootout, the first Olympus 24/2.8 lens that was tested was soft on one side. Those vignetting test results are valid only for this website, because they use calibrated exposures to standardize the testing. 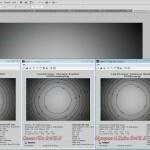 The numbers are useful for comparing light falloff between these lenses, and any other lenses this website tests. Ease of focus at long distances: The “5610” street number on the back of the building was the focus point, but it was in shadow, so one level of magnification and focus peaking both had to be used. If half-points could be awarded, that’s what would be used here, because focusing at long distances is weak on all of them. Vivitar 24/2.8 two points, Canon FDn 24/2.8 one point, Olympus H.Zuiko 24/2.8 one point. Lens contrast: Another case of needing half-points, and not having them. Olympus 24/2.8 one point, zero points for the other two camera lenses, but with different exposures and such, it’s difficult to tell for sure. Sides of the images: Olympus 24/2.8 gets disqualified due to very slight softness on the left side, but the right side is as strong as the other two lenses. The Vivitar 24/2.8 looks slightly cleaner at the “5610” mark, but maybe just barely softer than the Canon FDn, at the critical mid-field “5620” street number, on the left side. Two points for each. Center of the images: Vivitar 24/2.8 two points, one point each for the other two lenses, but there could be mitigating factors. 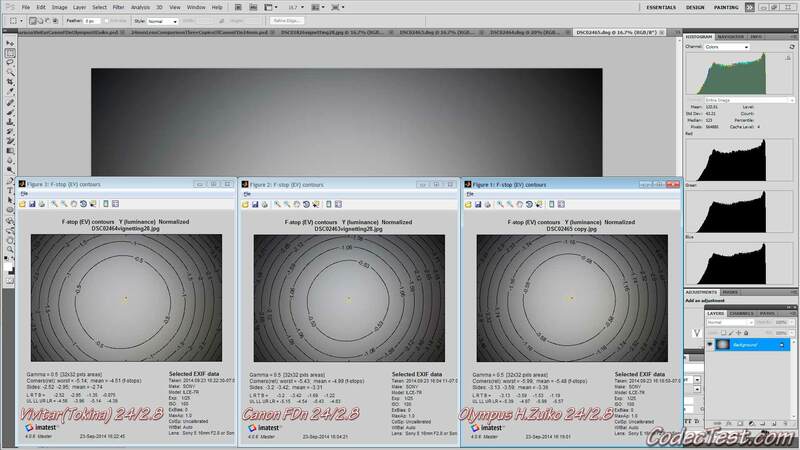 The focal lengths of these lenses are all slightly different, which can be seen in the big comparison image picture. That might have made the “5610” mark slightly taller on the Vivitar, so it’s slightly easier to read. Summary: Your author is now zero-for-three on wide angle Olympus lenses, but if a good one ever comes across the test bench, it might do well. 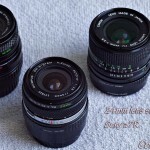 Readers of this column would be advised to stick with the Canon FDn lenses, because they are cheaper and built better. The Vivitar(Tokina) 24/2.8 cost $37 shipped. It was a complete surprise performance-wise, and also because the aperture leaves were stuck together, due to oil on the blades. Whatever sharpness differences it may have had with the Canon could have been focus-related, and/or focal-length related. The Olympus H.Zuiko 24/2.8 was the widest of the three, which can be a slight handicap on the Sony a7R, when it comes to legacy glass. Both the Vivitar and the Canon FDn lens move forward into the final round. This entry was posted on Thursday, September 25th, 2014 at 1:25 AM	and is filed under Camera Lenses. You can follow any responses to this entry through the RSS 2.0 feed. You can skip to the end and leave a response. Pinging is currently not allowed.